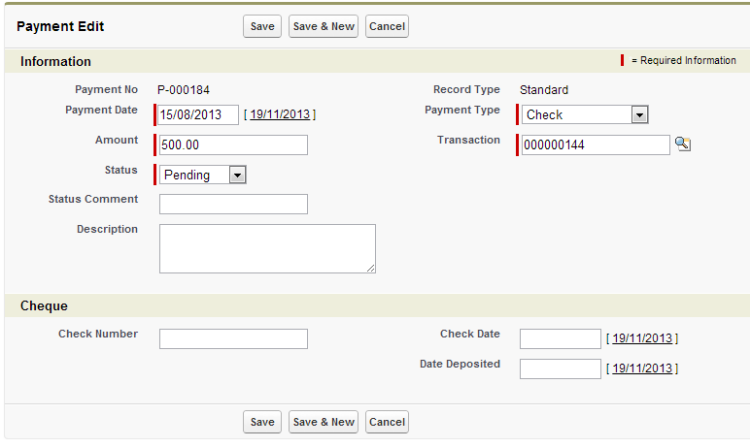 In order to edit an existing payment, begin from the payments related list for the pledge transaction. 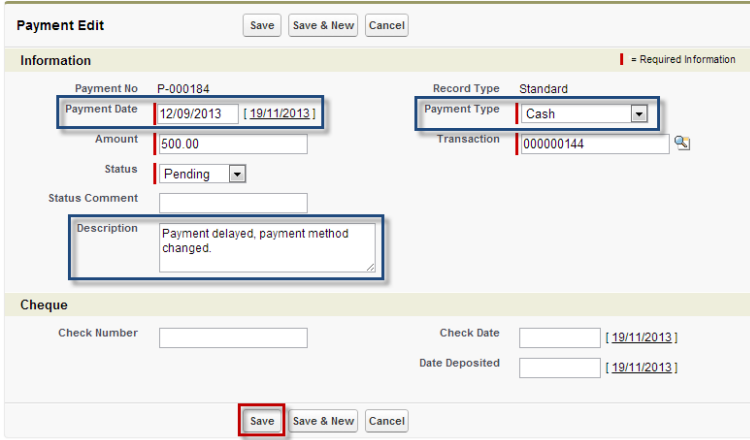 Locate the specific payment you want to edit in the list and click on “Edit” to open the payment editing page. From the payment edit page you can change the payment amount, date, payment type and associated details, and status as required. While the payment amount can be edited to correct for incorrect data, it is not best practice to adjust the payment amount if a constituent is unable to complete an expected payment. In this case, the original payment should be written off, and a new payment with the decreased payment amount should be created. If you would just like to make changes to the pledge schedule, you can change the payment information and re-save the payment with a “Pending” or “Committed” status. In the following example, edits were made to the fields in the blue boxes, including notes about the change in the description box. The changes are saved using the “Save” button. In order to update an existing payment to show that a payment has been made, you can simply enter all applicable payment information under the “Cheque” field and change the status of the payment to “Approved” before saving. For non-cheque (or check) payments, simply enter the deposit date for the payment. 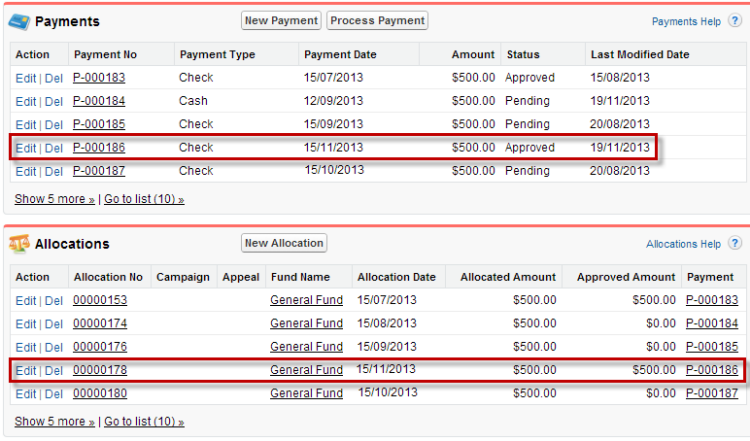 From the transaction detail page, confirm that both the payment and allocation are correctly approved.